How many times have you tasted guacamole and thought it was the best food ever created. There’s something magical about guacamole and that amazing ingredient is the avocado. It’s Mother Nature’s perfect fruit that’s not only amazingly delicious, but also healthy and truly unique. Everyone knows that avocados are healthy, lower cholesterol, etc., but here are some interesting facts about the star of our tableside guacamole that might catch you by surprise. When you go to your local grocery store, you’re used to seeing the small tasty avocados, but there is a variety that gets about 7 inches tall and weighs about three pounds. Commonly referred to as Avozilla, it’s only grown in South Africa. 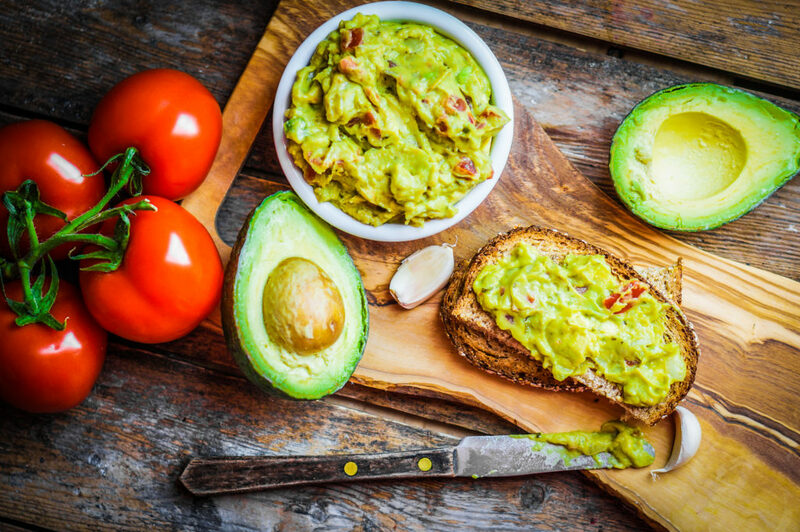 You might be thinking, “Ok, it’s big, but does it taste good.” According to various sources, the avocado has a buttery texture and tastes great. Let’s just hope you have an appetite big enough for its monster guacamole. Everyone is counting calories and trying to shed those few extra pounds. Many dips and dishes require butter, mayonnaise, olive oil, sour cream, etc., but these are filled with calories. A similar serving of creamy avocado has fewer calories than equivalent measures of the other additives. Next time you’re asked to add a stick of butter, then about the avocado alternative. We know to not squeeze the Charmin, but if you want to know if your avocado is ripe, then gently squeeze. A ripe avocado has a darker green color and feels heavier than its unripe counterparts. Gently squeeze and if there is a little give, then it’s ready to go. Some people buy unripe avocados and keep them in the house for a few days to ripen, especially if they don’t plan on using them right away. Don’t squeeze too hard on a ripe avocado. They are extremely fragile and you could end up bruising the flesh inside. Do you ever wonder why there are so many unripe avocados in stores? That’s because avocados don’t actually ripen on the tree. In the natural world, they mature to a certain stage and then fall to ripen on the ground. Since everyone wants avocados, they are picked and shipped in coolers to ripen in the stores. This lets people get avocados of all stages of ripeness and helps stores keep from getting loads of override avocados. Come check out our tableside guacamole and find out why this fruit is so special. If we can’t see you today, then we’ll see you tomorrow.